A sixty-plus-year history with our eye to the future. With skill and care, we blend traditional American hand craftsmanship such as 8-way hand tied springs with modern manufacturing methods. 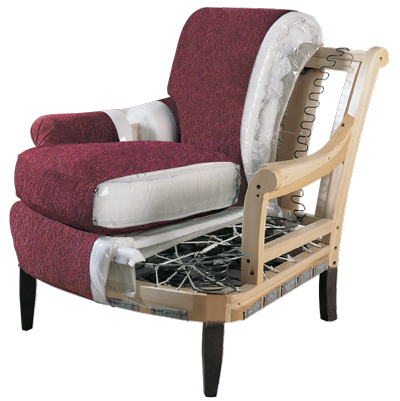 The result is unparalleled custom-made upholstery to fit most any need. Our styling follows those same principles by combining timeless design elements with exciting contemporary touches to create one-of-a kind upholstery that you’ll treasure for years to come. Each frame is precisely cut and hand assembled. 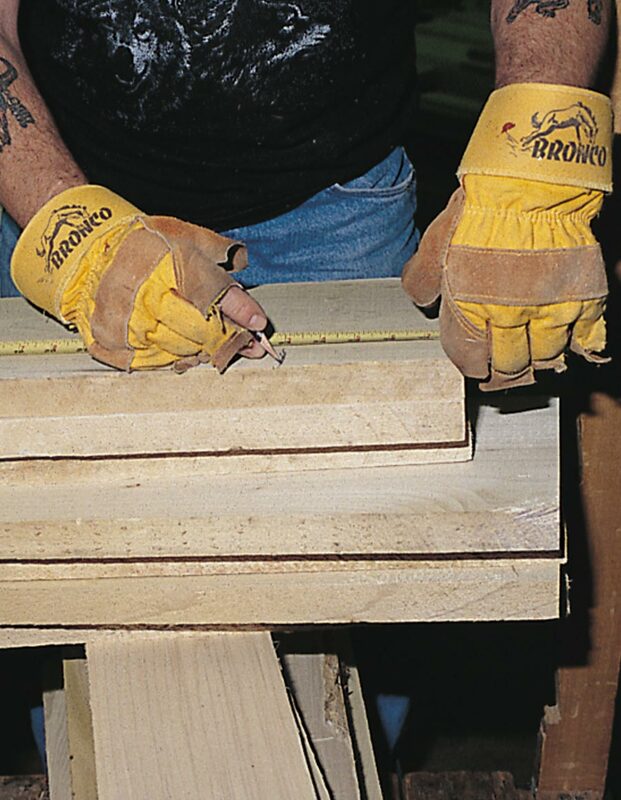 Double dowels are utilized in all structural parts to form sturdy, long lasting joints. 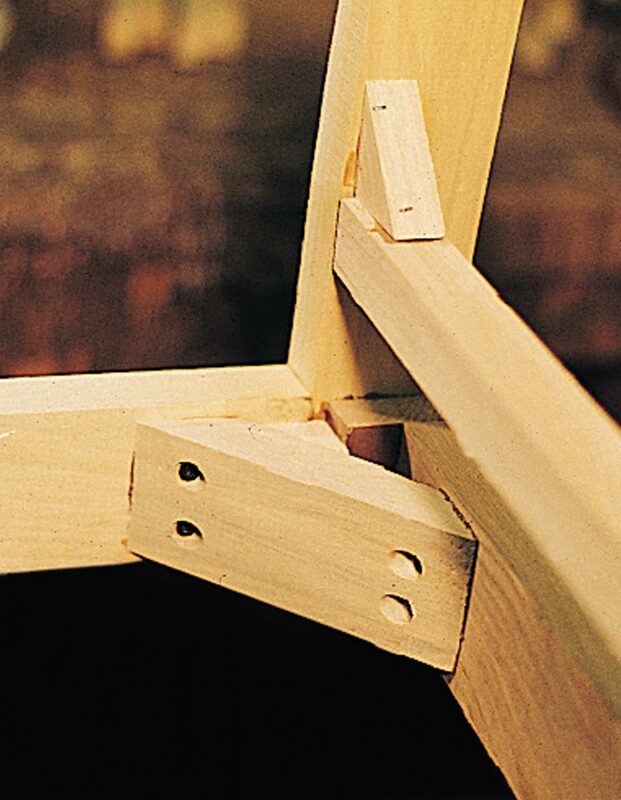 To complete construction and add stability to the frame, large precisely cut corner blocks are positioned at each corner where the greatest stress occurs using both glues and screws. Sherrill mounts a solid interlace web bottom to each frame. Springs of various gauges and heights are securely attached to the full web bottom using clinch fasteners. Polypropylene covering is used over the 8-way hand-tied springs and the sinuous wire spring backs as a protective shield and to provide a substantial base for various filling materials. A typical Lawson style back has sinuous wire springs anchored to the frame and held together horizontally by coated wire to prevent turning. Marshall units are used when thickness of back and styling permits. 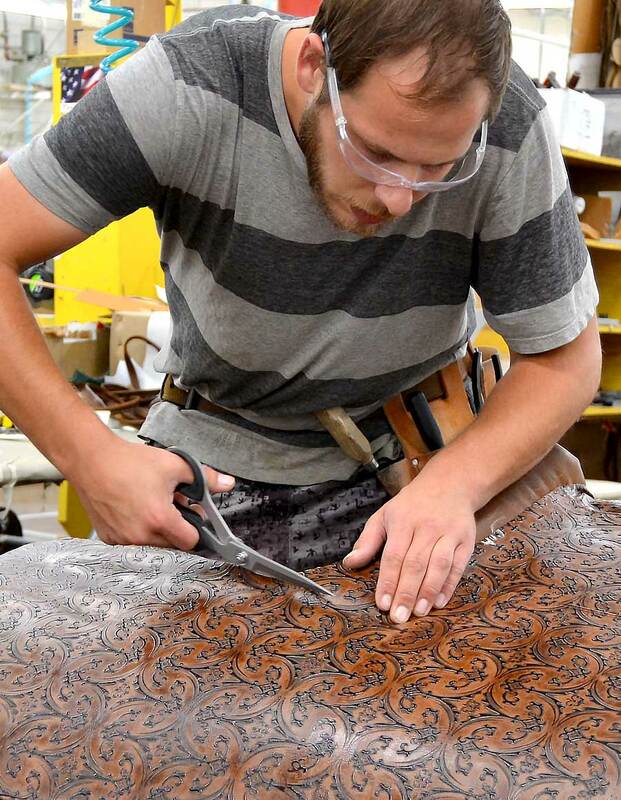 Specialized cutters take particular care using individual patterns to create the proper pattern flow. Specialized technicians perform various sewing tasks using the finest available sewing thread, sewn seven stitches to the inch to assure more durable seams and trouble free wear. Generous layers of polyester batting and cotton are used in conjunction with urethane foam to achieve just the right contour and comfort. At Sherrill the standard cushion filling is U-D, a high density reinforced urethane core. Also available is Super UD filling, a high resiliency urethane with 2-1/3 ounce fiber. 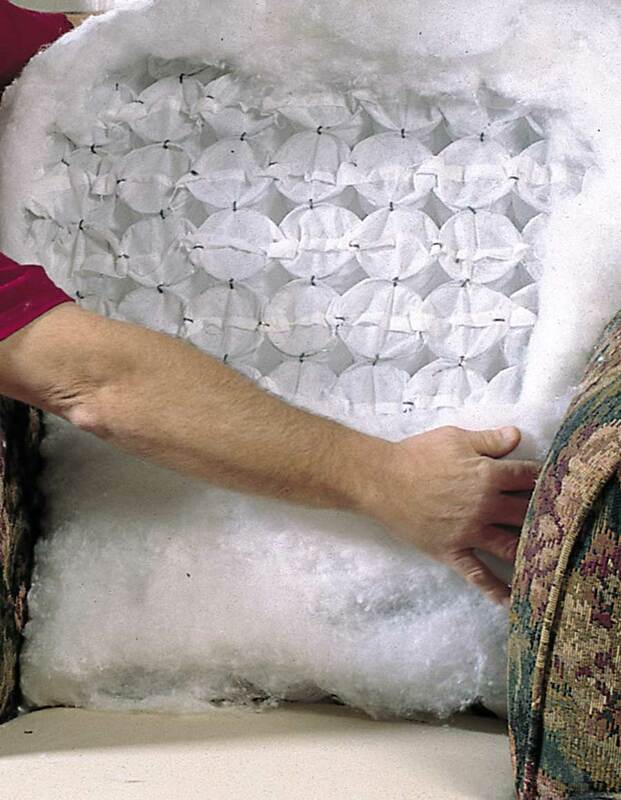 Both cushions are encased in a sewn casing. 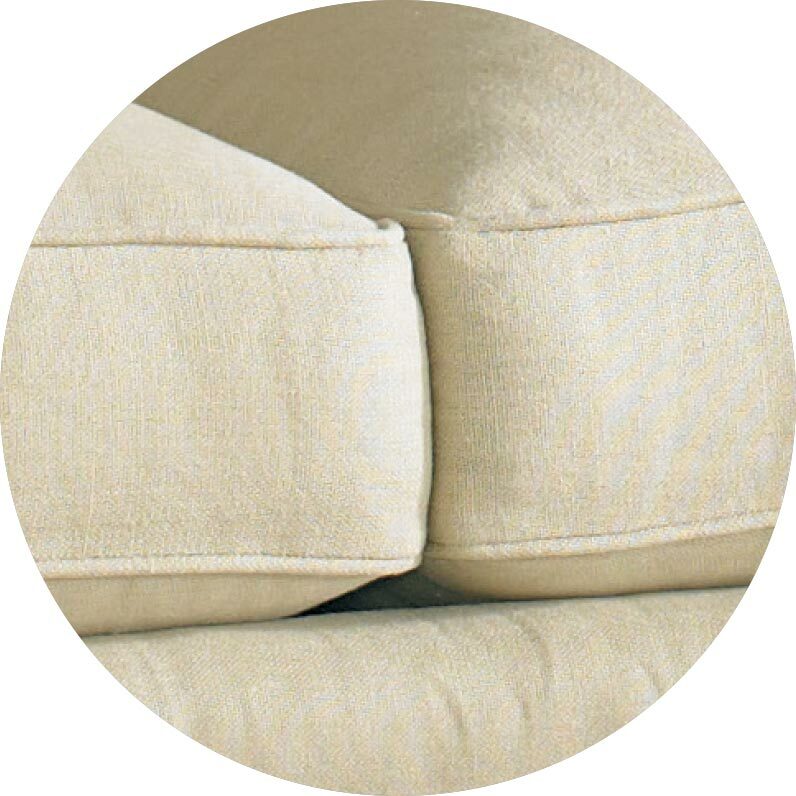 Other cushion filling options are spring-down, comfort-down and comfort-fiber. 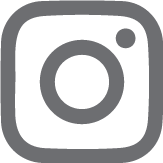 Sherrill offers loose pillow back options fiber-down and Shertrel (standard). 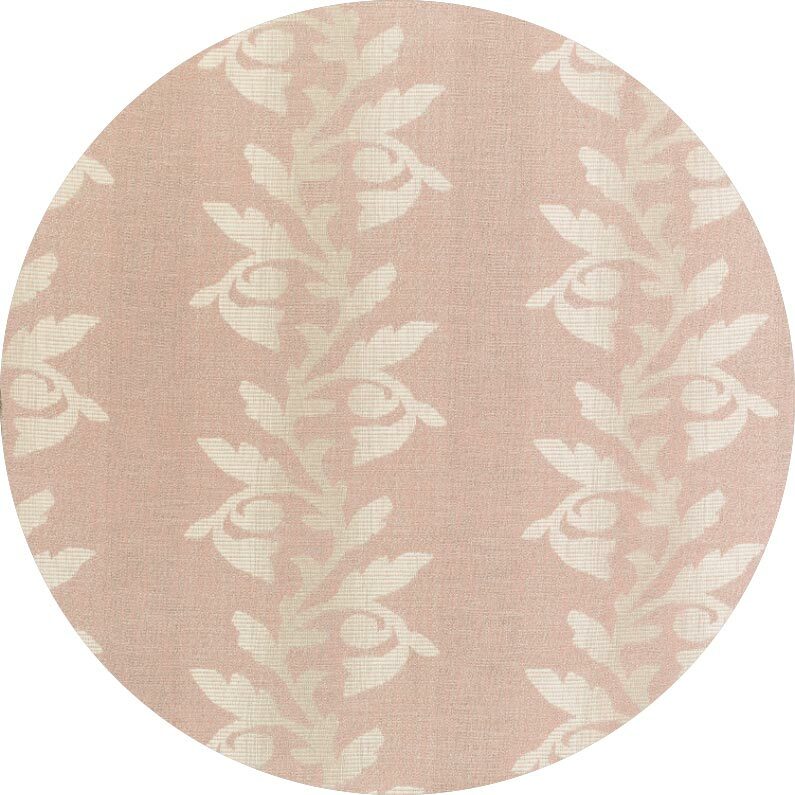 At Sherrill we are as careful applying a fabric as you are selecting one for your home. 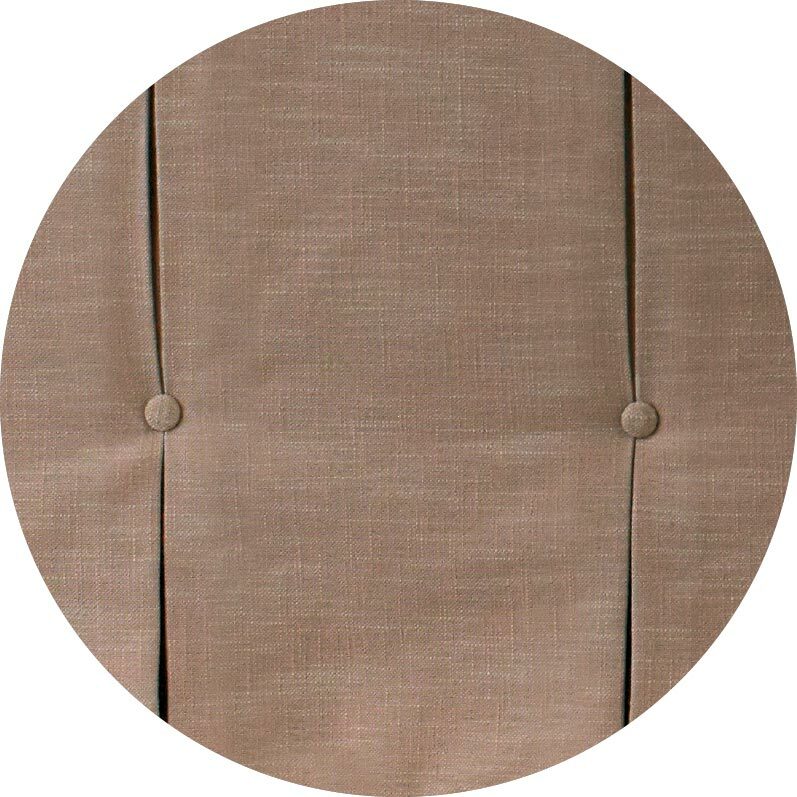 Each piece is painstakingly hand-tailored by specialized technicians who have spent years perfecting their trade. This option is available on Ottoman Tops and Throw Pillows. 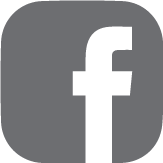 Sherrill’s higher standard of quality is assured by thorough inspections throughout the manufacturing process. 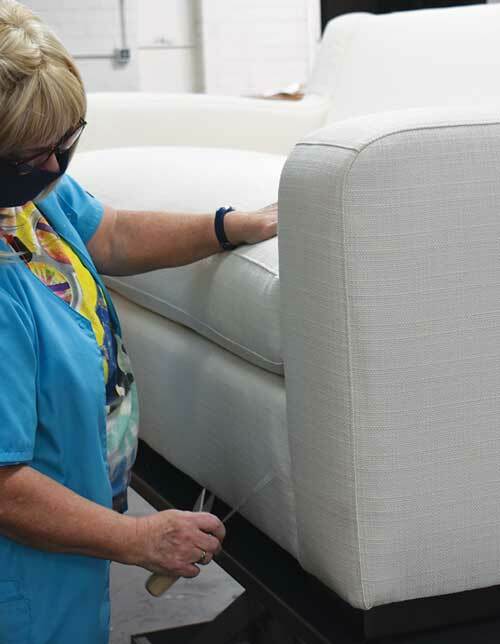 Skilled inspectors inspect frame, fabric, cutting, sewing and upholstery. After a final inspector carefully checks each piece one more time, Sherrill seals in the quality by custom packing each piece prior to shipping. Put Sherrill’s custom options to work for you. 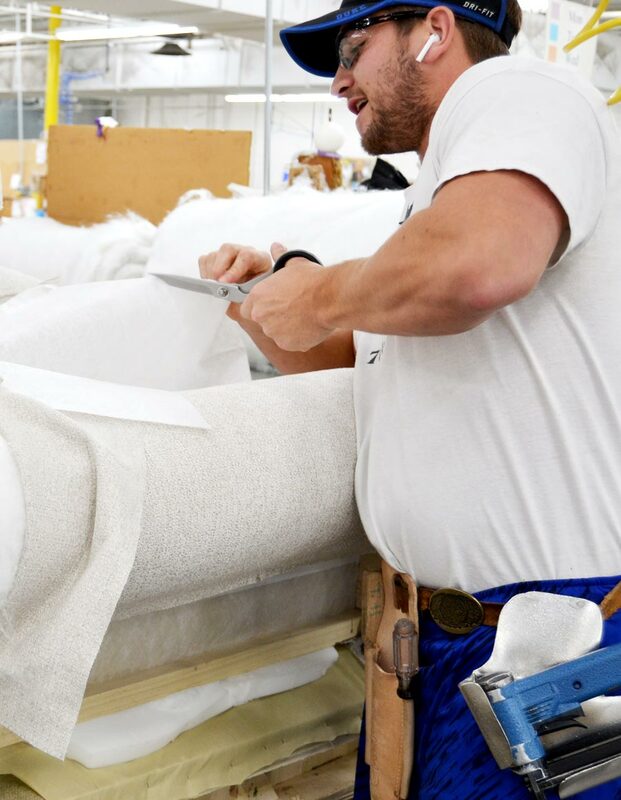 Fabrics, finishes, trims, construction techniques…whatever you can dream up, we can help create. Built from the best, made in the USA. 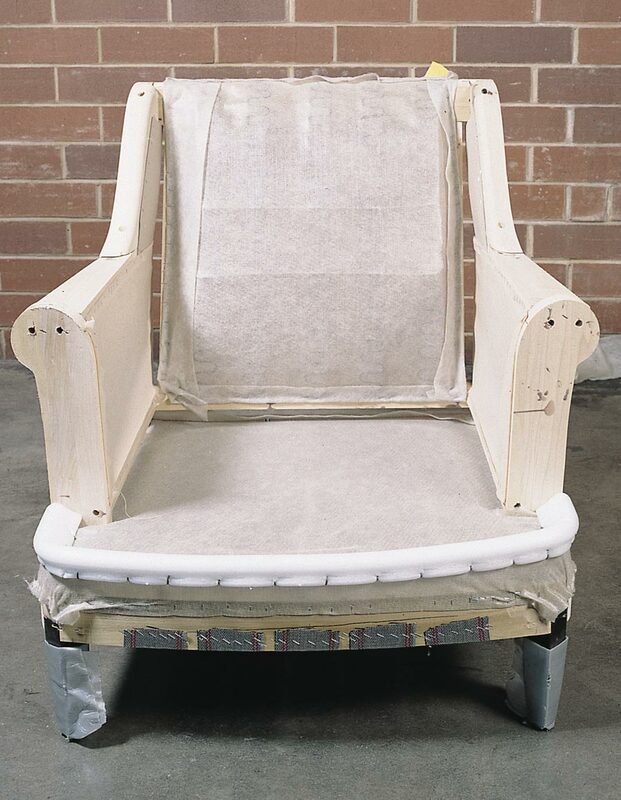 The result is unparalleled custom-made upholstery. 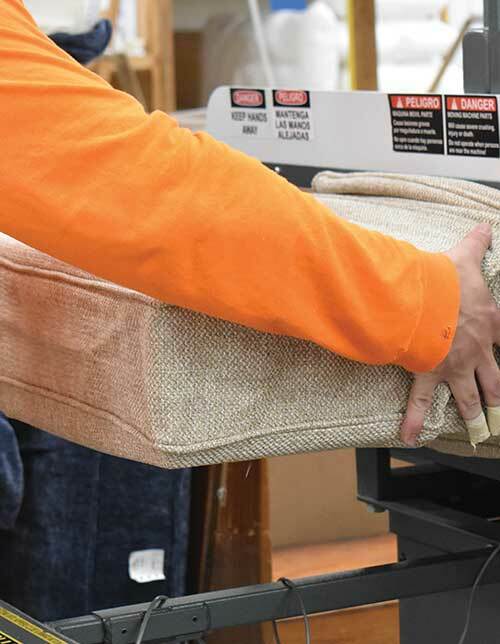 At Sherrill, we partner with the most respected fabric mills in the industry to offer you an amazing assortment of upholstery fabrics for your home. 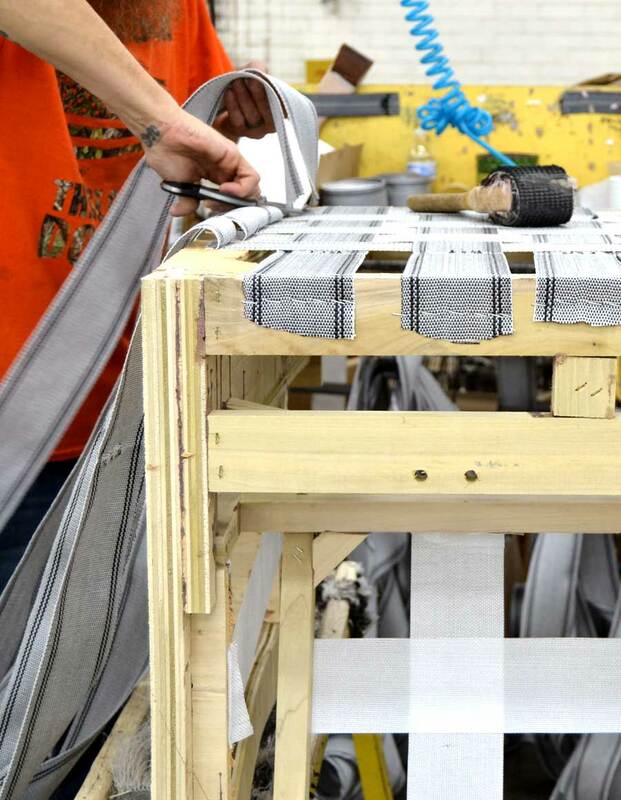 Our skilled craftspeople take pride in the fine tailoring details that set us apart. From the smoothness of Bella to the distressing of Artisan, each custom finish adds personality to your home. Masterpiece, Custom Line, Mahogany and Carved Chairs categories offer a multitude of finishes. 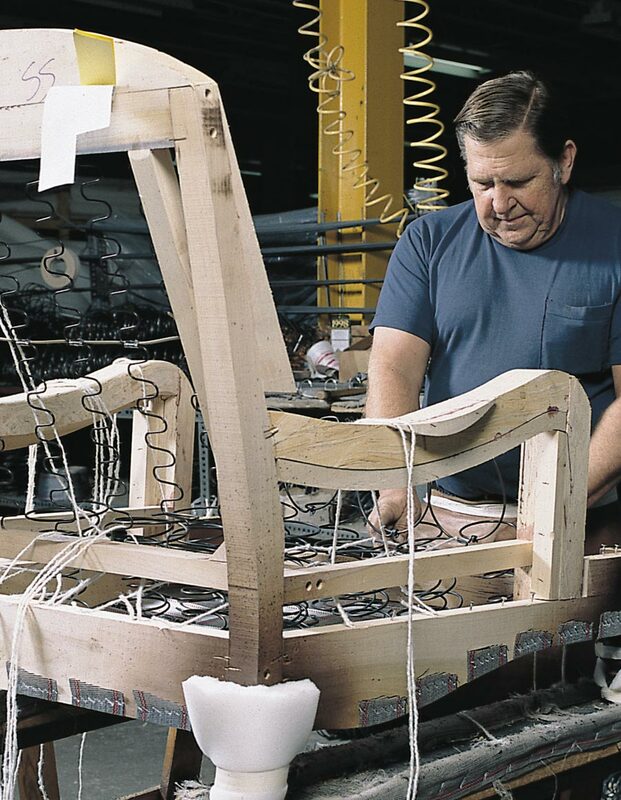 Of course, each finish is applied by the most skilled artisans here in Hickory, North Carolina. 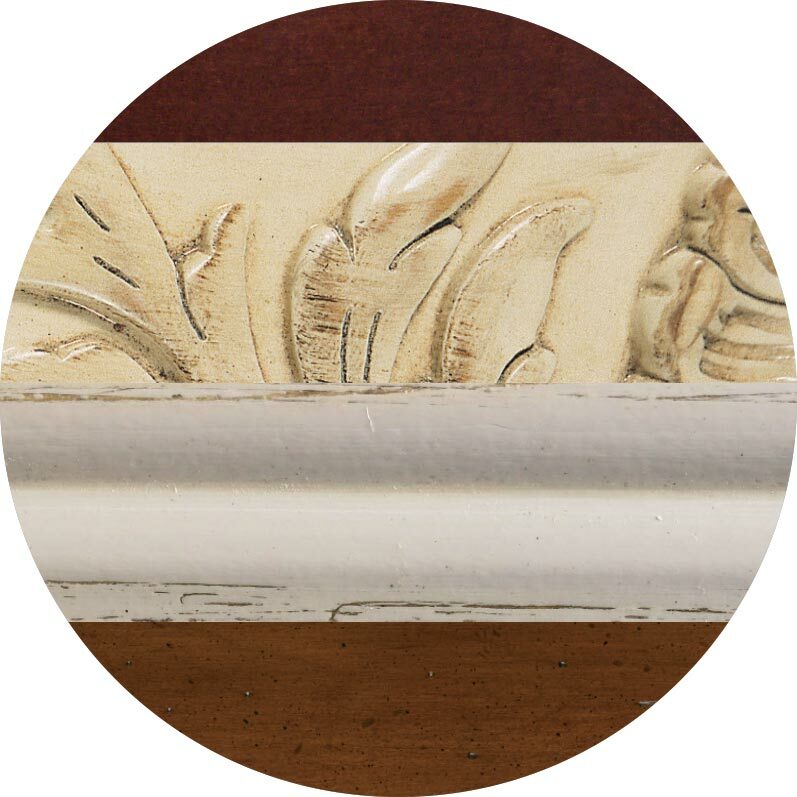 The perfect way to accent your Sherrill frame, nail head trim options range from Vintage to Natural to Polished nickel. With an assortment of sizes, finishes and spacing to choose from it’s easy to create a unique look. 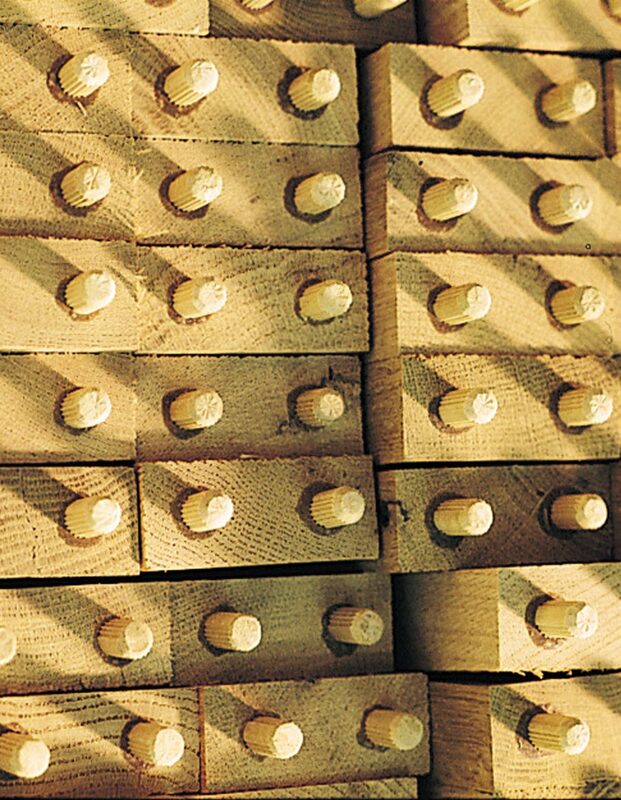 Each nail is hand-applied by the proudest craftspeople. 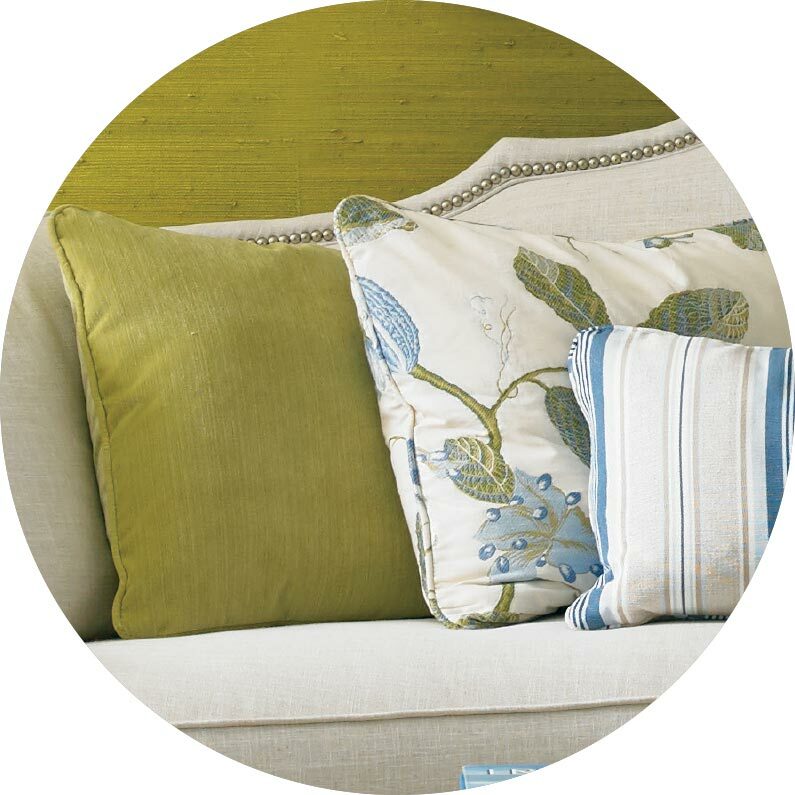 Custom throw pillows are one of a designer’s favorite way to create a unique look. 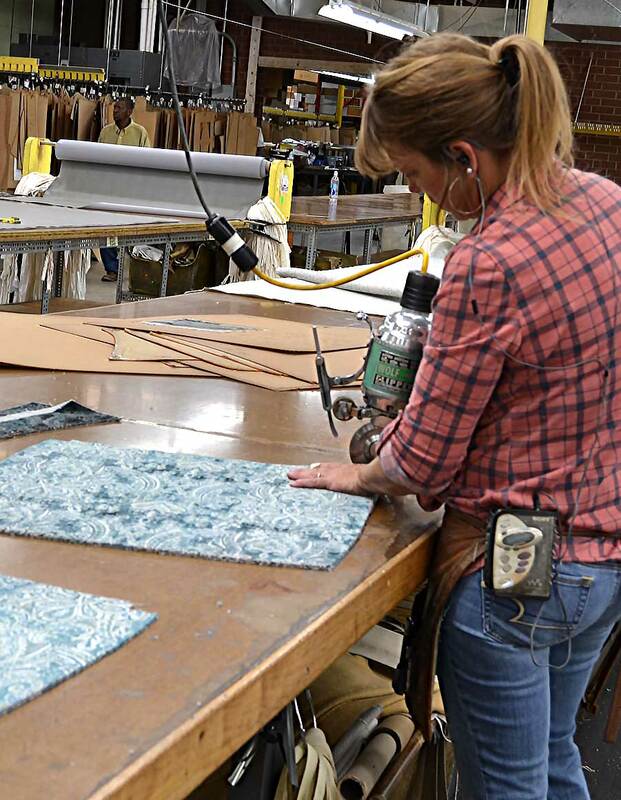 Every Sherrill Throw Pillow is filled, sewn, and upholstered in our North Carolina factory with your comfort and style at the forefront of everything we do. 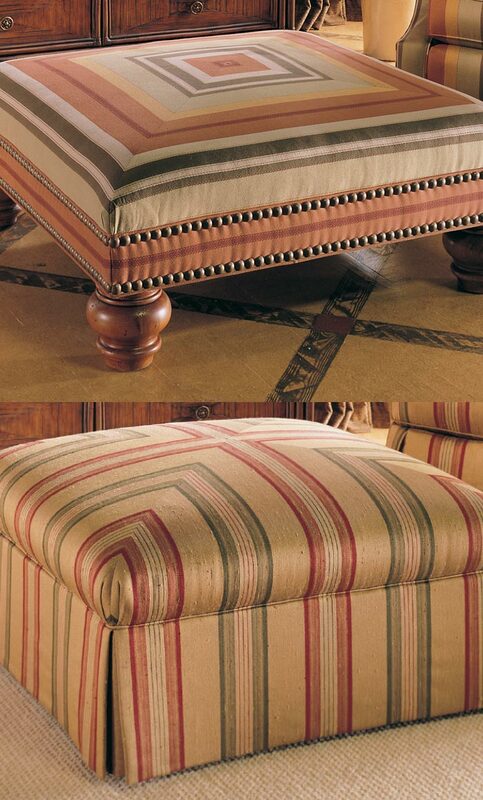 Sherrill offers 6 different cushion types designed to address alternative firmness as well as levels of tailoring. Whether you are looking for soft and relaxed or firm and tailored, we have a solution that meets your comfort level and exceeds expectations.